If you’re anything like me, you’ll love a good TOMY product and I’ve been lucky enough to team up with them again to offer you the chance to WIN a fabulous goody bag. Included in your goody bag will be: a Lamaze Teether, Lamaze Jiggle Bunny Ball, Lamaze Poorly Purring Percival Story Book as well as a Pocket Money pack. This is the perfect goody bag for small tots who love to chew everything- Benjamin’s favourite is the Jiggle Bunny Ball! All you have to do is fill in the form below with your details. Easy! You can follow us, share and re-tweet for bonus entries! 1. Closing date is 31 October 2015. 2. This offer is only open to UK residents. 3. Only one entry per person. 4. The winner will be chosen at random. 5. No cash alternative is available. 6. We reserve the right to amend these competition rules at any time without prior notice. 7. In the event of a dispute with regard to a competition or its outcome, the decision of What Mummy Thinks is final and no correspondence will be entered into. 8. Entrants must be over 18 years old. 9. All competition entries must be received by the closing date specified on the competition entry page. Any entries received after this date will be automatically disqualified. 10. All taxes, insurances, transfers, spending money and other expenses (including meals or personal expenses upgrades etc.) as the case may be, unless specifically stated, are the sole responsibility of the prize winner. Yes Please … My first time entering anything like this am I doing it right ? Thanks for the chance. Fingers and toes crossed. Tomy is one of the few brands I know and trust so please count me in. 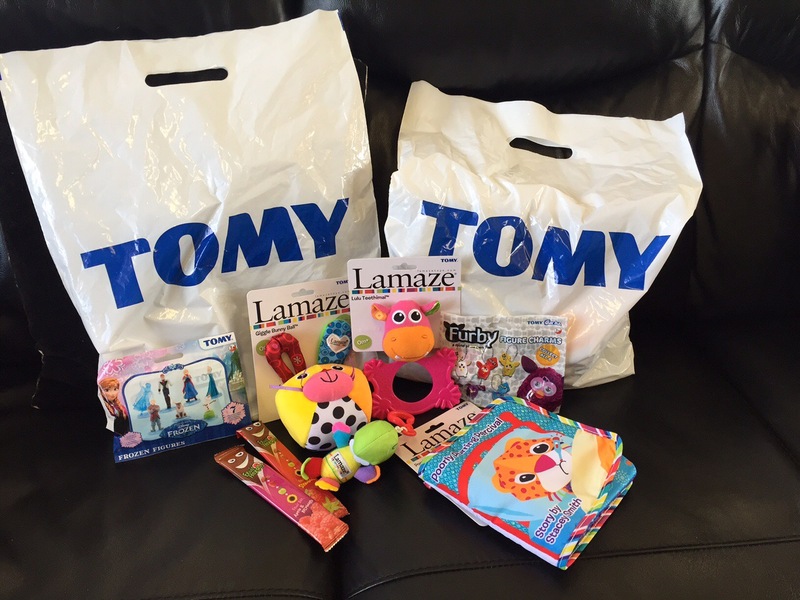 These goody bags are great -loving Tomy!! !